Free parking is available on the Discovery Center parking lot on the east side of the building. Free street parking is also available along St. Louis Street and McDaniel Street. Is there a place to eat at Discovery Center? Discovery Center’s lobby area is available with tables and chairs for snacks. No food or beverages are allowed in the museum area. You may bring in your own snacks and beverages and take a break from the museum to eat in our lobby. 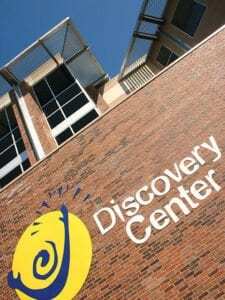 There are many dining options available within walking distance of Discovery Center. If you decide to leave the museum to eat, you may re-enter with your receipt. Does the Discovery Center have strollers? NO. It is recommended you bring your own stroller. Access to all exhibit floors is available with elevators. Does the Discovery Center have wheelchairs? There are a limited number of wheelchairs available on a first come basis. It is recommended you bring your own wheelchair. Access to all exhibit floors is available with elevators. Are there lockers or storage areas at Discovery Center? No lockers or storage areas are available at DCS. There are coat racks available in the lobby area. What is the pet policy at Discovery Center? Appropriately documented guide dogs and animals for assisted therapy are welcome. What is the weapons policy at Discovery Center? No weapons are allowed in Discovery Center. Can I leave the same day and come back? You may leave and come back in the same day as long as you have your receipt. Can I use all of the exhibits by myself? 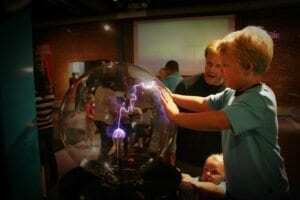 Some exhibits will require a Discovery Center docent to help you perform the experiments. These exhibits have Discovery Center docents at various times throughout the day; signs will be posted to let you know when the exhibit will be staffed. Discovery Center docents will also be walking throughout the museum during operation hours. If you have a question about an exhibit, please be sure to ask them. They are happy to stop and help you. 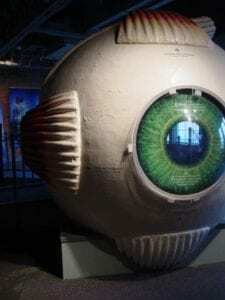 What is the best way to explore the exhibits? Discovery Center’s unique environment allows visitors to explore and discover at their own pace. Some of our exhibit areas will have signage to help explain the exhibit. 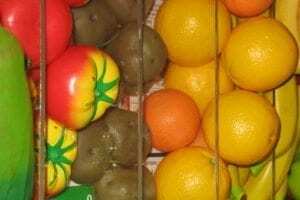 The signs will include suggestions on how to use the exhibit, questions to ask yourself as you use the exhibit, and an explanation of what takes place at the exhibit as you conduct your experiment. You will be amazed at how much fun you are having while learning fun science facts. Some exhibit areas are designed specifically for preschoolers; be sure and stop by Wonderland for your children five years of age and under. Our goal is to provide you with experiences that inspire you to enjoy learning and excite you to continue life-long learning. After your visit, please let us know how we did! Please be sure and check with our front desk when you arrive to learn about any special exhibits or educational programs you may want to visit while you are here. Discovery Center is an independent, nonprofit 501(c)3 organization, that relies on admissions, memberships, program fees, and donations to continue our educational mission, programs and exhibits.